For NZSL Week 2014 we have lots of fun activities and events throughout the country. Go to the Events Calendar on www.nzslweek.org.nz to find out what’s happening! Amber’s story, our 2014 NZSL Week Hero! From all the staff at Deaf Aotearoa, we all wish you a wonderful New Zealand Sign Language Week and we hope to see you at one of the many New Zealand Sign Language Week events. Have fun to Communicate, Celebrate and Connect! For New Zealand Sign Language Week 2014 we have lots of advertising happening across the country – billboards, magazines, bus shelters and much more!! Check out where you can view our amazing Deaf hero, Amber in your area or watch our advertisement on television. There will be news media, radio and TV interviews! The following are some of the opportunities that you will be able to see NZSL and the Deaf community being presented on mainstream TV. Download a full list of media coverage of NZSL Week (excluding TV interviews etc). Please note that these are subject to change. Check Facebook and Twitter for updates. 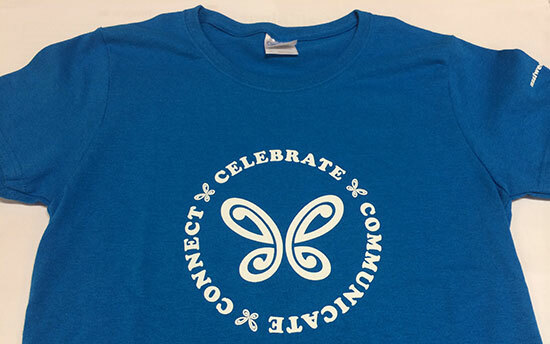 You can now order this year's NZSL Week T-Shirt in blue for only $25.00 including postage! But.... you can still follow us on Facebook and Twitter to find out who our winners are! The New Zealand Parliament is undertaking activities to mark New Zealand Sign Language (NZSL) week and enhance its engagement with New Zealand’s Deaf community. Users of NZSL are encouraged to take the opportunity to increase their access to Parliament through the following activities. Anyone is welcome to view Question Time and visitors to Parliament will be able to view the Sign Language interpreters on screens in the Chamber from the Public Galleries. Throughout May tours of Parliament will be offered with a Sign Language interpreter. This is opportunity to discover the buildings, see what happens when the House sits and learn about New Zealand’s democratic processes. 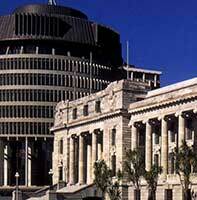 Bookings for Parliament tours can be made via email tour.desk@parliament.govt.nz. The Disabled Persons Organisations (DPO) Network have put together a Shadow Report for submitting to the Committee on the Rights of Persons with Disabilities, on the implementation of the CRPD in New Zealand. Deaf Aotearoa is a member of the DPO Network, and has already contributed the report. This is a chance for the community to review the report and submit any feedback. Feedback can be sent through to Victoria.manning@dpa.org.nz – it is possible to do a video in NZSL. The feedback will be collated and the DPO Network will consider any issues and whether to include the feedback. We are working to a tight timeframe so we need the report feedback by 19th May 2014. This years Health and Disability Commissioner’s National Disability Conference will be on 2 July 2014 at Alexandra Park, in Auckland. We are focusing on the rights of disabled people with high and complex needs who cannot easily speak up for themselves. We will be exploring how to encourage consumers, family members, friends, and advocates to speak up; learning about supported decision-making and advocacy; and sharing ideas about fostering disabled people’s choice and control when accessing services. Keynote speakers include Robyn Hunt, Rachel Noble, Clare Teague and Trish Grant. A programme for the conference is available. Fundraising For WFDYS Children's Camp In Washington, D.C.
Zoe and Jemma have been chosen to represent New Zealand at the World Federation of the Deaf Children's Camp at Gallaudet University in Washington DC. Candice will be attending as a youth leader and Bridget as a volunteer interpreter. The children's camp theme is "Imagination". The campers will be involved in activities and workshops to develop leadership and advocacy skills through arts, film making, writing and signing. The camp enables new friendships and the development of self-worth and pride in being Deaf. These skills will benefit NZ Deaf youth on their return. They are fundraising up to $8,000 for their trip. To support them, go to http://www.givealittle.co.nz/cause/WFDYSChildrenscamp and make a donation. This is a job advertistment from Volunteer Service Abroad (VSA). Work with the Sanma Frangipani Association to support people with disabilities to achieve maximum independence. The Sign Language Training Adviser will work with staff to research and write training modules for the Vanuatu National Training Council accreditation. The volunteer will also work with teacher aides and teachers to integrate individuals with hearing impairments into mainstream education. For this assignment we are looking for someone with registration as a NZSL tutor with NZ Sign Language Teachers and have practical experience. The volunteer will also need experience teaching sign language to the hearing and hearing impaired, and experience developing training materials and programmes. This is a two year assignment based in Luganville. See their website for more information including a position description and application form. For New Zealand Sign Language Week 2014? Coffee van will be around the city. If you want see Alana, please text 021 540 191 and ask where she is. There is no map as it’s too hard to tell so best text me. Meet at Clapham Clock Museum, Town Basin at 10:00am. We go inside at 10.15am. At 11:00am, we will tour at the new Whangarei Police Station on the corner of Cameron and Walton streets. After Whangarei police station, we will have a big lunch. If good weather, we have lunch at Town Basin, next to big playground. If bad weather, we have lunch in Deaf Aotearoa community room. Please be on time. Alana will not come back to front and meet late people. NZSL interpreters will be with us from 10:00am to 12:00pm. For more information - please see fliers. It is NZ Sign Language Week so Alana won’t be in the office all the time. If you want see Alana, please text Alana for an appointment. If urgent or important - please contact Glennis. If not important, please delay to next week. Thank you, Alana and Glennis. Enjoy your NZSL week celebrations for 2014 from all of the Deaf Aotearoa Staff Auckland Office. Are you brave enough to try the new ride at Rainbow's End? The brand new ride, Stratosfear, at Rainbow's End is now open! It is seriously scary with a complete 360 degree rotation which will challenge even the most seasoned thrill seeking ride enthusiasts. This ride is a first in the Southern Hemisphere, seats 30 people and with the complete 360 it's one of only 4 worldwide!! Look forward to seeing you all trying out the amazing STRATOSFEAR! Come to a fun day at Rainbow's End, New Zealand's largest theme park promises all the thrills you can handle with a host of fun activities and world class rides. Always wanted to try Boot Camp? Well here is your opportunity come along to Potters Park and do this free 45 minutes Boot Camp with a New Zealand Sign Language Interpreter. It is an exercise programme that involves strength training, high intensity intervals and a cardio phase. There is no flash equipment used, just effective and enjoyable bodyweight exercises combined with sprints and running. Bring your workout clothes and a drink. If it rains we will move over to the Deaf Club. 10.45am Guided walk – maximum 20 people. MUST register with Tracy before 14th May. Please let Tracy Hickford know before 14th May 2014 if you want to come. 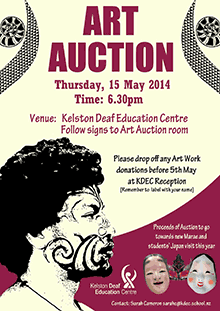 Where: Kelston Deaf Education Centre – follow the signs to Art Auction Room. Proceeds of auction will go towards new Marae and students’ Japan visit this year. See below for some of the beautiful artwork that will be part of the auction! Come and celebrate NZSL week. Get creative and make up your own super hero, with your own special costume or come as any super hero or super star that you know. Prizes for the most creative and best dressed. There will be games and entertainment provided. Come along to the Dominion Bar for dinner and a drink, and learn to order your drinks by using NZ Sign Language. When: Friday the 16th of May and learn some New Zealand sign Language. Come in and have some fun and take part in our “My Favourite Sign” campaign. “Sign Ninja” our new online game using NZ Sign Language to solve puzzles and collect points. Come along and have some fun learning some drama skills, classes available for all ages. And it is all free. or txt her on 021847729 by 9th May please. We have a café on campus with a commercial coffee machine. Currently we do not have a barista. (VisionWest) are looking for a person to be trained. The person we would be looking for would be someone who was outgoing (as they would need to be confident enough to take orders and do till transactions) adaptable and quick to learn. They would need to be able to cope with a mainstream environment, as there are no other Deaf people on campus although staff are very supportive and understanding. We have a lot of volunteers in different parts of the organisation. They need to be mature (in attitude), pay attention to detail and be absolutely reliable and trustworthy. You can find out more about VisionWest. We will be combining our tour with our celebration event this year, as Te Aroha is putting it on for us! First up, "The Purple Camel Soap Company"... a woman who imports oils from the islands, makes it into soaps and then either sells the soap and sends the money back to certain charities from there, or sends the soap back to the charities to sell for themselves. A brief history outline of her humble beginnings. If you wish, you can hire a bike next door and try the trails, or simply go for a walk... There's a huge domain next door to the complex also, so we can have a game of touch, or play some games. Where customers will have the opportunity to learn basic Café Signs, then utilise that by attempting to order using those Signs. Cost: This event is free and open to the public. No booking or registration is required. This year, the University of Waikato is celebrating and reflecting on 50 years of teaching and research excellence. As part of the year’s celebrations, we are hosting a Community Open Day on campus. Themed ‘hubs’ will be based around campus, and will feature a variety of activities, interactive exhibits, demonstrations, tours and mini lectures for audiences of all ages. Join us in celebrating our first 50 years as we showcase or research, facilities and campus. “Belly dance is a celebration of the way women move. Tone your whole body, become more flexible and learn to move more gracefully. Classes are 1 hour and 20 minutes. 30 min Belly dancing match with music. Performance class is ongoing in the University Mirror room on Wednesday evenings. You're invited to horseback ride the horse trekking paradise of New Zealand, rated NZ's best horse trekking company. We have horses suitable for learners, to advanced. Kawhia is a beautiful village on the west coast of the North Island, famous for the miles upon miles of stunning ocean beaches and natural hot pools seeping out of its black sandy beaches. Staff throughout New Zealand have been very busy with organising the taster classes and events. Lots of taster classes have been booked in Bay of Plenty. There will be two events in Bay of Plenty. It will be lovely to see you at one or both events. Please let your friends know about the events. Click on the flyers for more information. If you have any questions, please contact Sue Lessing on sue.lessing@deaf.org.nz / text: 021 920 675 / Skype: deaf.aotearoa. Sunday 11th May from 1:00pm to 2:00pm. Get there at 12.30pm for 1:00pm. Please ignore the RSVP date, there is room for more. Sunday 18th May from 1:00pm to 2.30pm. You know in life everyone is learning every day no matter how old you are. Deaf Aotearoa has set up more Advanced English Classes. These lessons are more advanced and it's fun learning. If you wish to join, contact Sue to sign up. It's ok to join now if you have missed previous classes. 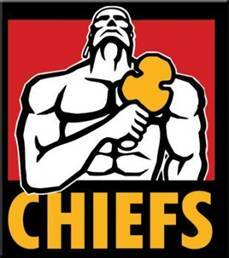 Yarrow Stadium is the place to be on to see the mighty Chiefs take on the Blues. Taranaki season members, please call 0800 4 CHIEFS to take advantage of your priority purchasing offer! Taranaki Cathedral's Annual Mega Garage Sale! Come and grab a bargain at Taranaki Cathedral's annual mega garage sale! Will the Airs Shoot Down the Super City Rangers? Breakers guard, Daryl Corletto will be coming to TSB Stadium with the Super City Rangers, ensuring they won't be the easy-beats of the league this year. Also adding experience is Dillon Boucher, while Breakers' development player, Duane Bailey, is an exciting younger prospect. The show starts at 7:30pm at the Quality Hotel, Plymouth International. 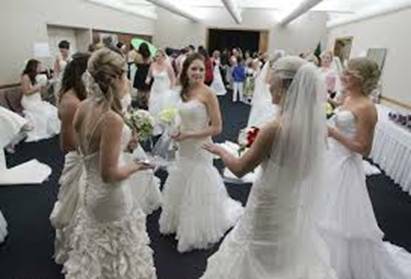 Categories are brides, bride and groom, mothers, flower girls, bridesmaids, and page boys. Taking hairdressing off the competition floor and onto the stage. A showcase of current fashion trends, mixed with the latest hair styling, colour and cuts and this season's hottest make-up look. $30 ticket - Available from The New Plymouth Club and participating fashion stores. The Kina Angels have been busy these past few days and our temporary space is ready. It is looking GREAT! 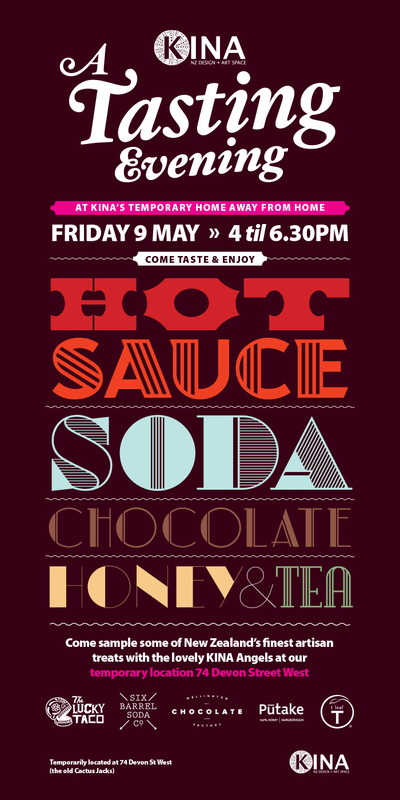 To celebrate we would love you to come along and tempt your tastebuds with some delicious New Zealand made treats. Don't forget to attend all of our wonderful activities in New Zealand Sign Language Week between 12th to 18th May. Refer to last week's newsletter for details or email niki.jenkinson@deaf.org.nz. We do this every year for one week to promote and share with other people our language – New Zealand Sign Language, one of three New Zealand official language. I need some volunteers to help out please. We will be having some events to promote and celebrate NZSL Week. We must have a quorum of 15 or more members to start the meeting. Bring a plate of food for afternoon tea and a plate for finger foods share dinner. After the AGM, Deaf Aotearoa NZ will host a New Zealand Sign Language celebration. We will provide pizzas and cold drinks. For membership form or for more information please contact HBDC Secretary hbdeaf@clear.net.nz or text 027 8593238. Packed with hundreds of products and services for the home, the Better Home & Living Show will inform and inspire anyone wanting to improve their lifestyle in a sustainable way. Featuring the latest eco-trends and innovations for indoors and out, massive show-only specials, free daily seminars, expert advice, plus the chance to win a fabulous show prize. It’s an event not to be missed. Better still, you’ll find it all under the one roof! Club night is open, come along and have a game of pool, darts, watch Sky sports and catch up with Friends. The bar is now open! Palmerston North NZSL Week Celebration! We will be celebrating NZ Sign language week in Palmerston North so come along and CELEBRATE with us! We want you to be involved - tell us your stories, ideas, hobbies and whatever it is you would like to share! We also have some craft supplies should you wish to be creative and make something - there are PRIZES UP FOR GRABS! Lunch will be provided, please let Lianna know for catering purposes. Do you have some concerns or question about your doctors, medical centre, hospital staff, dentist, hearing service, physiotherapist etc? If so, please contact Donna to make a time to meet on Monday 12th May. Women's Lifestyle Expo is HERE! There are more than 140 companies involved featuring everything from jewellery and beauty to business products and information, crafts, fitness, food and wine sampling and many more. There will also be a Taste of NZ Zone, NZ Handcrafts Zone, Fashion Zone plus cooking demonstrations, a fashion show and style workshop! Sounds awesome right, well Deaf aotearoa will also have a stall at this expo, come along to our stall and say hello, check out our competition and be part of this also. We are at stall number 332 so hope to see you there! Kat, a Photographer took action shots from the Easter National Rugby Tournament in Wellington recently. Check out her website to view action shots from the Deaf Rugby Tournament. There are so many events planned during NZSL Week, come along and join! Come along and support us to the events below, we look forward to seeing you there. The Nelson Provincial Museum have a exhibition on the Canterbury Quakes. There is a showcase of 20 DVDs displaying the devastation of the Christchurch earthquakes in 2011. The February 2011 Christchurch earthquake was a powerful natural event that severely damaged New Zealand’s second largest city, killing 185 people. The magnitude 6.3 earthquake struck the Canterbury region in the South Island at 12.51pm on Tuesday February 2011. The total cost to rebuild has a total estimated cost of $40 billion. Some economists have estimated it will take the economy 50 to 100 years to complelty recover. This is a New Zealand Sign Language interpreted tour of the exhibition. If you want to come to this event, you must let Susan Peters know susan.peters@deaf.org.nz. When: Thursday 15th May 2014 at 7pm-9pm. 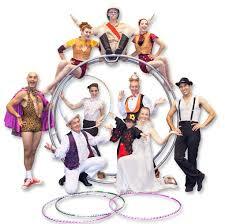 Circus Quirkus is an non-animal circus spectacular and family fun experience. An unique showcase of the finest performers from all around the world. Circus Quirkus is guaranteed to amuse, astound and delight both young and old. 90 minutes of circus fun and fantasy! We have 20 complimentary tickets, which have been sponsored by local businesses to allow families to enjoy this engaging performance for free! If you want a ticket to this event, you must let Susan Peters know susan.peters@deaf.org.nz. Hampden Street school the junior syndicate ages 5-6yrs, will be performing the National Anthem on the Catherdral Steps in Nelson City. Then the Flutterbyes from Blenheim, Picton, Nelson will perform some signed signing songs. We will walk to Lambrettas after the signed singers have performed a two minuite walk. We will complete the event with a signed lunch at Lambrettas, the staff at Lambrettas will complete some basic NZSL to the Deaf community. If you want to come to this event, you must let Susan Peters susan.peters@deaf.org.nz. We are having our Mid-Winter Christmas lunch at Hangar58. Please arrive at 11am for a drink and catch up. The cost of the lunch varies from $10-$28. There is a visitor coming from the North Island to join us for lunch, we hope to see you there. Let Rachel the secretary know if you require transport. After the lunch there is a table booked at the Suburban club. Raffle starts at 4.30pm then catch up and watch the Rugby game Crusaders VS Harricanes at 7.35pm. All welcome to join. Nayland Community college is offering New Zealand Sign Language classes here in Nelson. Time: at 6.30pm to 8.30pm. Cost: $95 for a 8 week course. During New Zealand Sign Language Week, there will be two events for everyone to attend. Come along and join us the fun – win prizes for best performances. Anyone can take part, kids or grown-ups, students, NZLS students, etc. Please register before the event if you want to take part by 9th May. Gold coin donation for entry. Nibbles and NZSL interpreters provided. Come and see our local Deaf Craft Group display their crafts. All the funds from the fundraising proceed will go towards to their project fund. If you have any craft materials/projects you wish to donate, you are welcome to drop them off to Victoria Walters at Deaf Aotearoa’s Canterbury office prior the event. We would appreciate all donations. An afternoon tea and NZSL interpreters provided. Our local Deaf member and NZSL Tutor, Josje Lelijveld, will be interviewing by Canterbury Television to talk about our New Zealand Sign Language Week 2014, you can view on Freeview HD channel 40 or their website after interviewed. This is a wonderful event support the Heart Founation’s Go Red for Women campaign and is a great way to spend a day with your family and friends. Money need to be paid to the Deaf Aotearoa Office by the 13th May. Contact Fi if you have any questions. Minimum of 10 people maximum of 18 people. Volunteers are needed to help at this event. Please contact Fi at the office if you can help with this event. Come support our Boys as they take on the Lions. For more information go to www.otagorally.net. The 2014 event, to be held from May 10 to 11, will be preceded be reconnaissance on Thursday afternoon and Friday morning, and a ceremonial rally start in Dunedin’s centre, The Octagon, on Friday night. The gravel special stages will be held on Saturday and Sunday, May 10 and 11, with the Rally of Otago’s traditional mix of challenging stages awaiting competitors. Thanks to Chris Tottenham who gave up his Saturday to volunteer his time at May Day Disability Expo. We had a lot of enquires and a fantastic day with the public taking part in our fingerspell your name competition. Congratulations to Jo Rizzi from Idea Services who was the winner of our prize pack. Thanks to those who are taking part in our celebration to kick off NZSL Week. We will be going to join in the Celebrations with the Dunedin Community . Cant wait ! Will see you Saturday . Taster classes are about to start next week. Thanks to the tutors who are involved. Keep calm and sign on! Good Luck!